The scene for the explosion was set and the twenty five victims of the disaster were working on the night shift when at about 2 a.m. an explosion occurred about 1,200 yards from the pit bottom in the No.5 district where twenty eight of the one hundred and five night shift workers were engaged. News of the disaster reached those in the vicinity of the pit early on the Saturday morning. One man who lived about three hundred yards from the pit was awake at the time of the explosion but heard nothing and the first indication that he had that something was wrong was a knocking at his door and the voice of a woman saying, "Number Nine’s gone up". Rescue gangs from a wide area rushed to the Colliery including the main Brigade from the Lancashire and Cheshire Owners Rescue Station based at How bridge, Atherton. 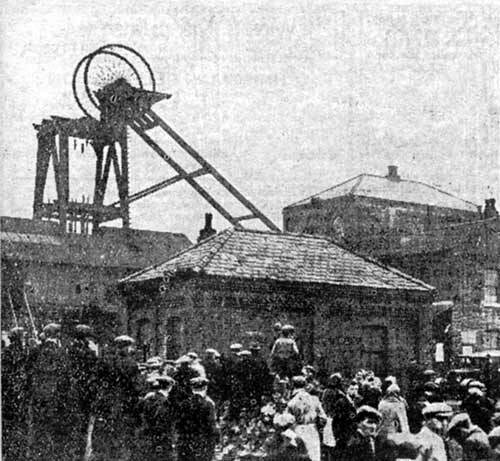 Teams of volunteers also arrived form the Maypole Colliery, Wigan Junction Colliery, Richard Evans and Co., Bryn Hall, Collins Green, Wigan Coal Company and Crompton and Shawcross Collieries and relays from these brigades went underground with breathing apparatus throughout Saturday and Sunday until the last body was brought to the surface. A number of ambulances from Wigan Borough and Police were rushed to the scene and remained standing at the pithead in the hope that there would be survivors. In addition to the Rescue Brigades stoical heroism was shown by numbers of others who volunteered to go down the pit without breathing apparatus and assist in the operations. Among these was Mr. John Latham, the manager of the Colliery, who had a narrow escape while trying to drag a young man to safety. He was overcome by the gas and rescued in an exhausted state. At the pit head, beshawled women and silent men waited at the pit head as news of the disaster spread. They remained throughout Sunday and well into the night despite the cold which blew from the colliery buildings. Mothers and sisters stood in groups some with children in their arms, hoping against hope. Even when the victims were brought out of the pit there was no sound from the crowd. Below ground the first that was known of the explosion was a terrible flash of flame which despite it’s force spent it’s self in a surprising short distance due to the area having been dusted down with stone dust. Immediately after the news of the disaster spread through the pit, the workers organised themselves into rescue parties and heedless of their own safety, rushed to the aid of their stricken colleges. Four men were brought out alive but despite the efforts of the rescue workers in the gas filled workings it was not until late on Sunday night that the rest of the bodies could be got out and brought to the surface. Mr. Peter Bullough the undermanager also took part in the rescue attempts and although he was an elderly man he worked without rest for eleven hours and was also brought out of the pit in an exhausted state at three o’clock on Sunday afternoon and had to be revived with oxygen. There was no lack of expert assistance and advice including Sir Henry Walker, the Chief Inspector of Mines and Mr. Gordon McDonald the M.P. for Ince went below ground. 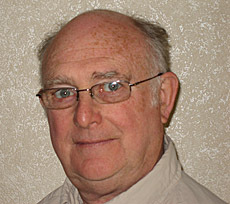 Mr. Christopher McBride was in charge of the first operations at the pit bottom. Dr. James, of Ashton, hurried to the scene and was reported to be in his bedroom slippers when he arrived at the pit. The papers of the time reported that there had been a gob fire near the scene and that shot firing had taken place earlier. Evidence of burns were found on several disfigured bodies and on the injured and there had been a number of heavy falls of rock several of the dead having been buried. The coal seam is five feet thick in this district where the majority of the dead were located. By 9 a.m. three bodies had been recovered and at that time it was thought that the death toll would be ten but it became increasingly obvious that the toll would be greater than this. At one o’clock twelve bodies had been recovered and they were brought out of the pit wrapped in field grey and red blankets to the saw mill which had been hastily improvised as a mortuary where they were placed to await identification. Most of the bodies had the appearance of being gassed and two seem to have been stricken down whilst the rest were heaving coal in their arms. In all sixteen bodies were recovered on Saturday. The work went on all night and by Sunday, twenty two bodies had been recovered and the remaining three, Clough, Lodge and Beddows were under a heavy fall in the shunt. The three were found lying near each other and Beddows was recovered just before 9 o’clock, he was lying near his engine and covered by a fall of debris. The fall was sixteen yards long and the task was rendered all the more difficult owing to the dangerous nature of the roof which was sprinkling and a heavy fall might have occurred at any moment. Beddows was seen lying near his engine but before we could get him out the roof came down again and the pick and shovel work had to begun again. Copies of this message of sympathy were presented to the families and relatives of the dead. Mr. G. Lansbury M.P., the leader of the opposition also sent a message and Lord Colwyn who was a former Chairman of the Company, who had resigned only a few weeks before said - "I am terribly grieved. I feel the deepest sympathy for the relatives of the dead men". Those men who had got out of the pit alive had graphic stories to tell. John W. Devenny, one of the injured was interviewed at the Wigan Infirmary suffering from shock and he said that he hard a noise which sounded like a crump and the fireman came up and asked him if he had heard anything and he went away to investigate. The fireman later telephoned for some men to go along.